This is Terry. I met him through a friend of mine. She mentioned that Terry has been on dialysis for 5 years and needs a kidney. Terry's story is common. Due to a genetic disease, PKD (Polycystic Kidney Disease), his kidneys are failing. His life has dramatically changed from working as a truck driver, riding his 2003 Harley and hanging out with friends. Now, he spends 3 days a week, four hours each day, hooked up to a dialysis machine. That won't last forever. Even though there have been a lot of advancements in dialysis, time will run out. Dialysis is a temporary fix. It's benefits come at a cost. 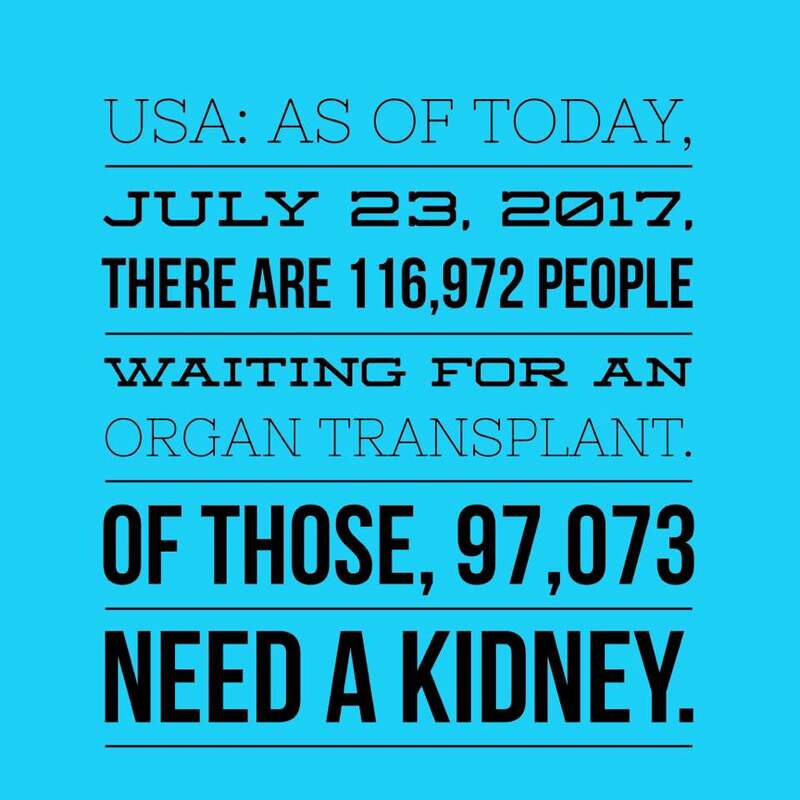 You don't hear a lot about people on dialysis dying of kidney failure. Many times, these patients die because of the tremendous stress on their heart. 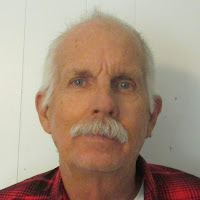 The only way that Terry can regain his strength (He can't even lift 20 pounds anymore) and stamina is with a transplant. He's done all of the things that his doctors have advised. And, yes, he is on the waitlist. Terry's blood type, O, could make him a universal donor (if only he were healthy). However, he can only receive a kidney with someone with Type O blood. 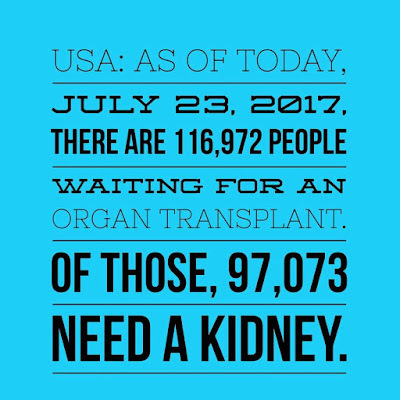 The waiting time is long for a Type O kidney from someone is deceased. If Terry gets a kidney from a deceased donor, it will allow him to live dialysis free for an average of 7-10 years. However, with a kidney from a living donor (like I did), the "lifespan" of the kidney can double! Some people automatically rule themselves out because they don't have the right blood type. But there is still a way. If someone began the testing process and "qualified" as a suitable donor, s/he could donate in something called a paired exchange. Here's a link from the Living Kidney Donor Network (www.lkdn.org) Click here to learn how any blood type could help Terry. 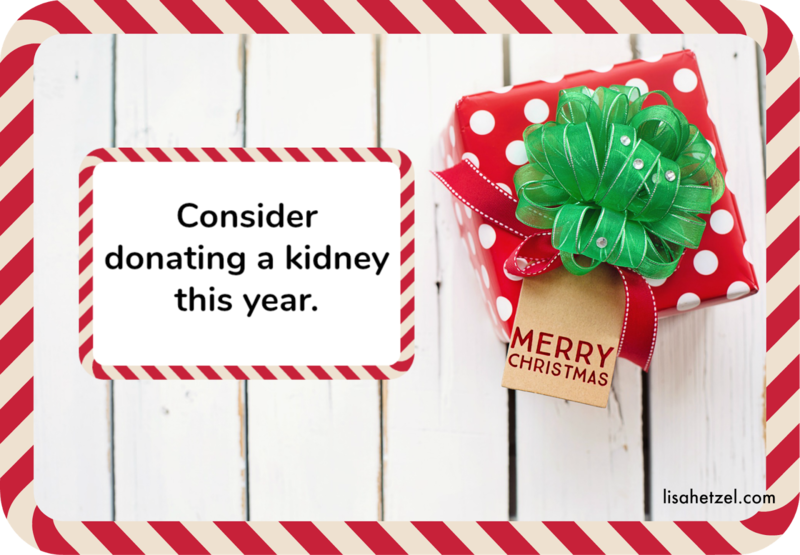 I challenge you to learn more about kidney donation. 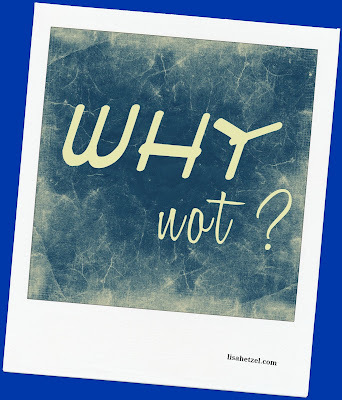 Choosing to step forward is a big decision. It's very personal. You can find out information about the process at the Piedmont Hospital in Atlanta, GA by visiting this website. Call the Transplant Center's number (888-605-5888) and tell them Terry's information (His name and birthdate 3/26/58). The transplant center can answer any questions that you might have. There is even a screening form on the website. Again, it's anonymous. Check it out. Who knows? You might even be a good donor candidate. I was floored to learn that I could donate a kidney at age 54. Could I afford it? Yes, because the testing, procedure and follow up would all be paid by my recipient's insurance (at no cost to her). Would I have huge scar? Most likely no. Most donors are operated on as a laporoscopy ( 3 small incisions and one a few centimeters long). The process is anonymous and comes with no pressure from the medical team. If it's not something that you would consider, inform yourself so that you can support someone who does get tested. 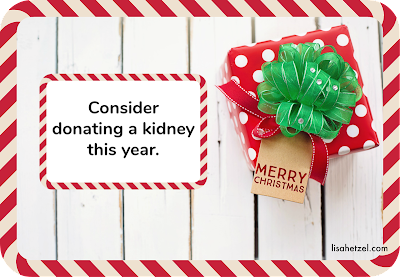 It can also help if you know someone who is waiting for kidney. Someone like Terry. Just a thought.